The boom of digital media has resulted in many file formats for both video and audio content which vary in terms of ubiquity and quality. That is whether you choose to consume your video and audio content on your smartphone, desktop, dedicated media player or tablet. Some file formats including MP3 and MP4 are ubiquitous. On the other hand, other file formats like OGG and FLAC provides a technical advantage even if they may not be supported on other devices. The good thing though is that conversion software is available and here is the 7 best video to MP3 converter software that you can choose from to convert video to MP3 easily. Joyoshare Video Converter not only allows you to convert your video to MP3, you can also convert your video to more than 150 other media formats. Some of these other standard formats supported include WAV, AVI and WMV and conversion is able to be done without compromising the quality of the video content. What is more, the software also acts as a DVD ripper. That means that you can use the software for the purpose of converting DVD to other various formats. Before you are able to convert a video, there are numerous features provided that enable you to apply video effects, change the aspect ratio, add watermarks, trim, cut etc. 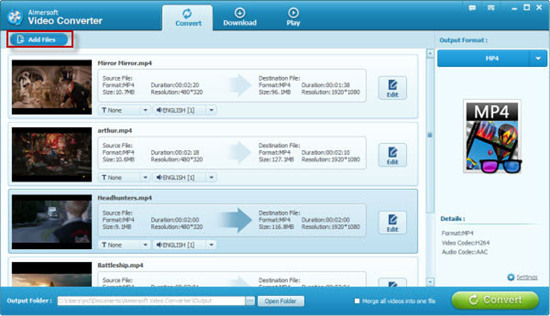 Additionally, the video to MP3 converter software allows batch conversion at a 30X fast speed. You are able to at once convert numerous videos to MP3. The program does not exhibit any lag for the duration of the conversion process. Movavi is also considered as a top video to MP3 converter software. Because of how the software has been designed, it executes the video conversion like a charm. The program has a simple and user-friendly interface that makes it possible for almost anyone to convert/edit media formats without difficulty. The program is also popular because of its extensive editing features. Apart from being able to rotate, cut and join videos, you are also able to adjust audio settings and color, remove/extract audio tracks and make snapshots. This is another amazing video to MP3 converter software. Leawo Video Converter provides for conversion to numerous media formats which you can play in any device including smartphone and desktop. 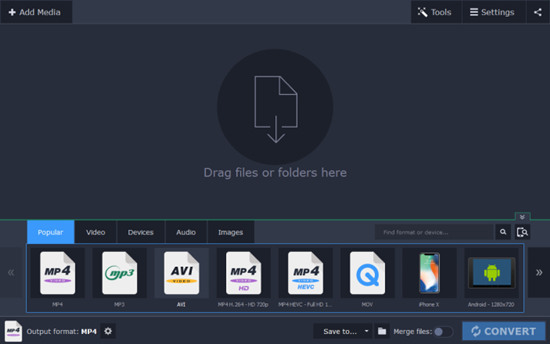 This program allows you to convert video/audio to more than 180+ media formats. The program also is user-friendly. It allows at a time the conversion of a batch of videos and this helps you save time and energy. As well, the software has a built-in media player and also it provides various media editing features like you can add a watermark. This video converter to MP3 program is also popular because it comes with an array of personalization and customization functions. Apart from its simple interface and allowing you to convert video files, it is also possible to convert online streams, DVDs, and DVD ISOs. The software comes with numerous handy presets for Android, iPads, iPhones, mobile Windows devices, and PlayStation and Xbox consoles. Additionally, the AVC has a variety of basic editing tools including the ability for you to take video snapshots, add visual effects and create clips. This program comes with more than 150 presets for mobile devices and tablets. Therefore, you are able to change a media file to a format that you can play on your device or devices. It is possible for you to customize the presets provided for any mobile, tablet or gaming device by editing features such as the sample rate and frame rate. As well, the video to MP3 converter software allows for the downloading of online videos from various platforms. Some of these platforms you can download videos from are like YouTube, Facebook, and other many popular platforms for sharing videos. WinX HD Video Converter Deluxe comes with over 400 profiles for Android and Apple devices. The software enables your incompatible videos to be friendly with game consoles, portable players and HDTV. The converted videos can be shared to YouTube and enjoyed on smartphones, Android tablets, iPhone etc. The converter also offers video editing tools. You are able to cut, crop, rotate, add a watermark, and alter video color effects. The program also allows for the downloading of videos and music from websites such as YouTube, SoundCloud, and Facebook. A nice balance has been incorporated into the design of the program in terms of customization and usability. The main pane of the Format Factory allows you to simply drag and drop media files for conversion. There are numerous media file formats supported and quality presets are provided to keep things as simple as possible. Apart from allowing audio and video conversions, the video to MP3 converter software also allows DVD ripping and provides editing features including audio and video joining. In conclusion, when choosing the best video to MP3 converter software, you could take these factors into consideration, such as the conversion choices for video and audio, customization tools, optimization profiles and even the cost among other factors. Therefore, you are guaranteed to have a good user experience if you choose any of these programs especially Joyoshare Video Converter.